We Provide One Of The ABSOLUTE Best, Longest, Most Comprehensive Warranties In ALL Of Eastern Massachusetts. No Risk Painting believes that if an exterior painting job is done right the first time, then the company should stand behind their work. Knowing that we are using the best possible products and painters on your home, we see no reason why we shouldn't also give you best possible warranty we can. 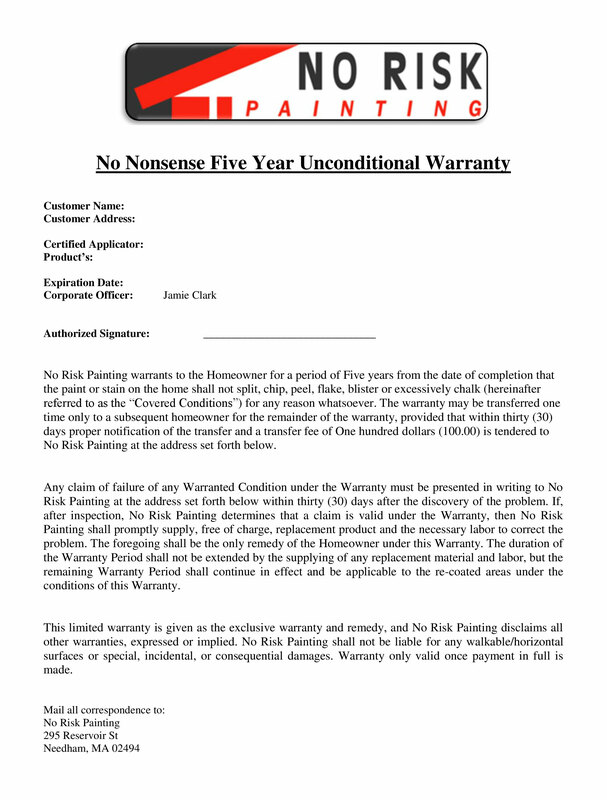 Unlike other painters who usually leave you with no more than a verbal "promise" of a guarantee for a year or two, No Risk Painting offers UP TO A FIVE YEAR WARRANTY (material & labor) in writing.